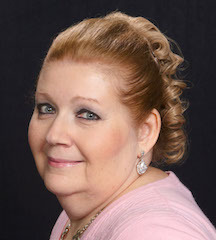 I’m thrilled to have the wonderful Susana Ellis visiting my blog today! 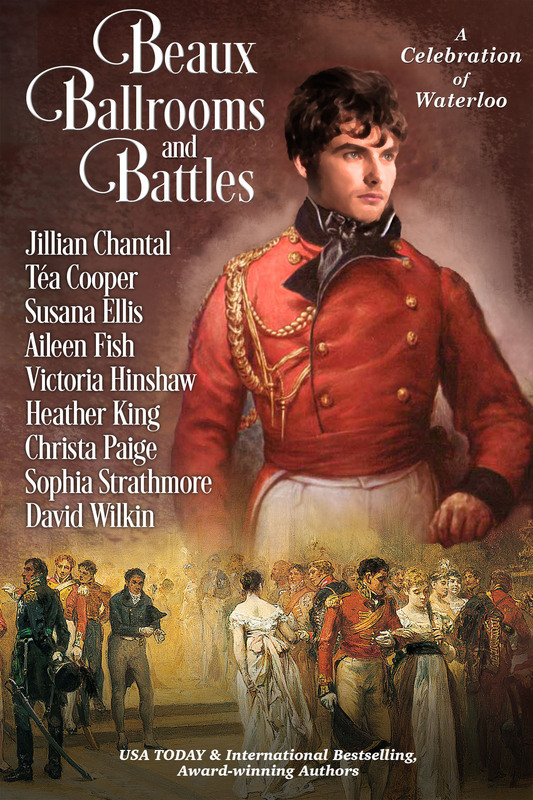 She is sharing a little information about the Duke of Wellington’s home and her fabulous story Lost and Found Lady found in Beaux, Ballrooms, and Battles, an anthology of Waterloo-themed stories. Thank you so much, Susana, for sharing this wonderful post and beautiful excerpt from your story. Wellington’s London townhouse, located on the corner of Hyde Park, is open to the public as a museum and art gallery. Number One London. The origin of the name came from the fact that this is the first house visitors from the countryside would pass upon entering through the toll gates at Knightsbridge. 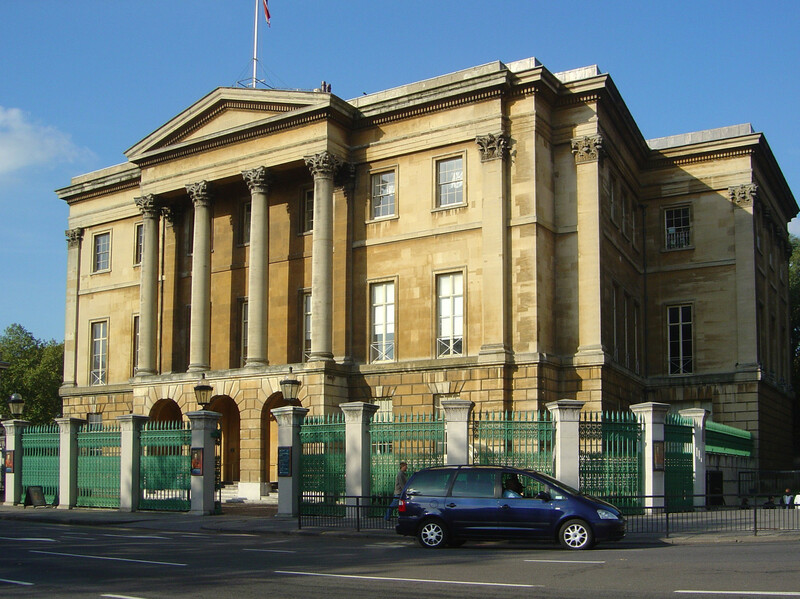 Apsley House. The name comes from the first owner, Lord Apsley, the Lord Chancellor, who contracted Robert Adam to build it between 1771 and 1778. 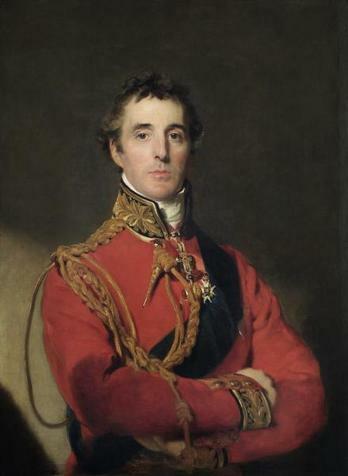 In 1807, it was purchased by Richard Wellesley, the 1st Marquess Wellesley, who in 1817 sold it to his younger brother, the Duke of Wellington. Some of Adam’s interiors still survive: the circular staircase, the drawing room with its semi-circular end, and the Portico Room. In 1819 Wellington added a three-story extension, housing a State Dining Room, bedrooms, and dressing rooms. In 1828 when his political career blossomed, included a new staircase and the Waterloo Gallery. The original red brick exterior was covered in Bath stone and a pedimented portico added. Over the years, the house has been essentially maintained in the original style and décor of the 1st Duke of Wellington. Included in the collection of 200 paintings are 83 paintings that were part of a collection of 300 that were discovered in Joseph Bonaparte’s baggage in the aftermath of the Battle of Vitoria in 1813. The duke decided to return the paintings after the war, and a grateful King Ferdinand VII returned 83 of them. These include four paintings by Diego Velásquez, one by Francisco Goya, three by Bartolomé Esteban Murillo, and three by Jusepe de Ribera. “Justine, ma chère, we have discussed this endlessly. There is no place in France safe enough for you if your identity as the daughter of the Comte d’Audet is discovered.” He shivered. “I could not bear it if you were to suffer the same fate at the hands of the revolutionaries as your parents did when I failed to save them. Excitement city! 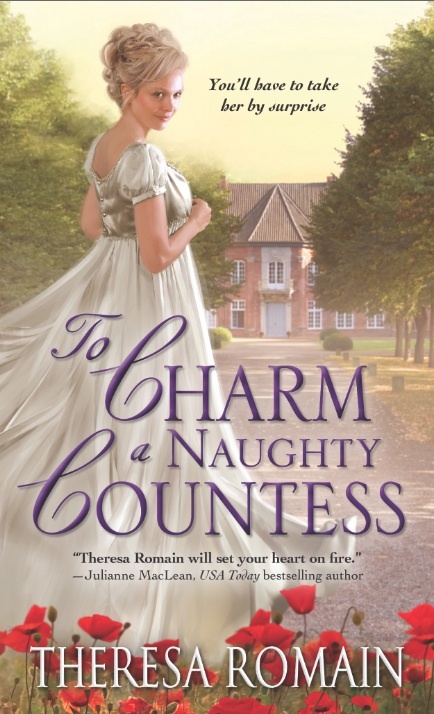 Theresa Romain is visiting my blog today AND she is giving away her latest release To Charm a Naughty Countess to one lucky commenter from the US or Canada! Theresa is an amazing writer. I’m in awe of her. She performs magic on words and stories. When she agreed to visit my blog, I took the opportunity to pick her brilliant brain. To Charm a Naughty Countess features a socially astute heroine and a logic-driven, socially backwards hero. Yet, as with all your characters, they are completely sympathetic and complex. How did you conceive and develop Caroline and Michael? Thank you for hosting me today, Susanna! And thanks for your kind words about Caroline and Michael. I’m really glad you enjoyed their story. To Charm a Naughty Countess is the second book in my Matchmaker trilogy, and Caroline actually appears as a secondary character in the first book (It Takes Two to Tangle). As a popular and wealthy widow, she seems to have everything a woman in Regency society could want. But she didn’t marry for love and she’s never had a real romantic relationship—and in ITTT, there’s one brief scene in her point of view that reveals how lonely she is. 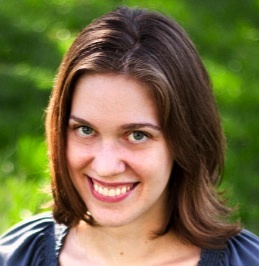 Caroline’s character journey is to figure out what will really satisfy her heart and contribute to her sense of worth. As for Michael’s character, you could describe him in a nutshell as “Caroline’s opposite.” Where she’s socially accomplished but rudderless, Michael has an unshakeable sense of purpose. He’s a duke, and he has dedicated himself to the careful stewardship of his dukedom. But outside of that, when there’s no plan or script or ledger, he has no idea how to act. Social interactions seem like a time-sucking mystery to him. As the story progresses, though, they prove not to be quite as opposite as they seemed at first. By the end of the story, both Caroline and Michael are stronger than they were at the beginning. And I hope they bring out the best in each other, too. You write deep novels with less action and more dialogue and inner exploration. How did you plan this novel? I started with two ideas in mind. 1. Since the first book in the trilogy took place in 1815, the second would take place in 1816. That was known as “The Year Without a Summer,” and I wanted the terrible cold (due to the ash cloud from a huge volcanic eruption) to drive the story. 2. I wanted to write a virgin hero. I hadn’t done that before, and a virgin hero seemed like a good counterpoint to Caroline, who’s had some love affairs. So you could say first I bashed the hero into a real-life historical event, and then I bashed him into the heroine. The character of Michael was shaped by both of those things, and the plot of the novel—a Pygmalion story in which he hunts for a wealthy bride after the endless winter causes crop failures—arose from there. I guess my plots tend to be driven by characters rather than the other way around. Exploring character is, to me, one of the most interesting things about writing romance. Your prose is just stunning. Did you always want to be a fiction writer? What other authors do you admire and have influenced your style? Actually, I never expected to be a fiction writer. My older sister liked to write stories as a kid, and since I idolized her I tried writing them too. Blech. I did not enjoy writing at all; there were just no stories I wanted to tell. At the time, I much preferred to read or draw horses. Learning to write fiction was like learning to write, period. I hadn’t expected it to be so different from writing NF, and it took me a long time to figure out my fiction voice. That happened over the course of years—and is probably still happening—as I read a lot, wrote a lot, and revised a lot. All my reading in British literature and history in college definitely influenced me, as did a slew of romance writers ranging from Jane Austen to Julia Quinn. What was the hardest part in the development of this book? What was the easiest? The easiest part was the plot. I know, I know: I said usually my characters inform plot, and it is true. But having a specific historical event—the Year Without a Summer—to hook plot details onto really helped shaped the story structure. Halfway through the book, the story shifts from London to Lancashire, and that new setting helped keep the story clicking along in my imagination. The most difficult part was figuring out Caroline’s attitude toward Michael at the beginning of the story. I must have gone through seventy million drafts (conservative estimate), striking different tones in those first few chapters. Should she be flirtatious? Resentful? Offended? Cavalier? After all, these two have something. In the end, I think she wound up being pretty pragmatic, which is something the oh-so-logical Michael would respect and respond to well. Thanks for the great questions, Susanna. Now I have one for readers. The first thing that catches Michael’s eye is Caroline’s social brilliance; the first thing that catches hers is his sense of purpose. (Ok, yes, they each think the other is easy on the eyes, too.) What qualities make you like a character or want to stick with a story? One random commenter will win a copy of To Charm a Naughty Countess! Open to US and Canadian addresses.